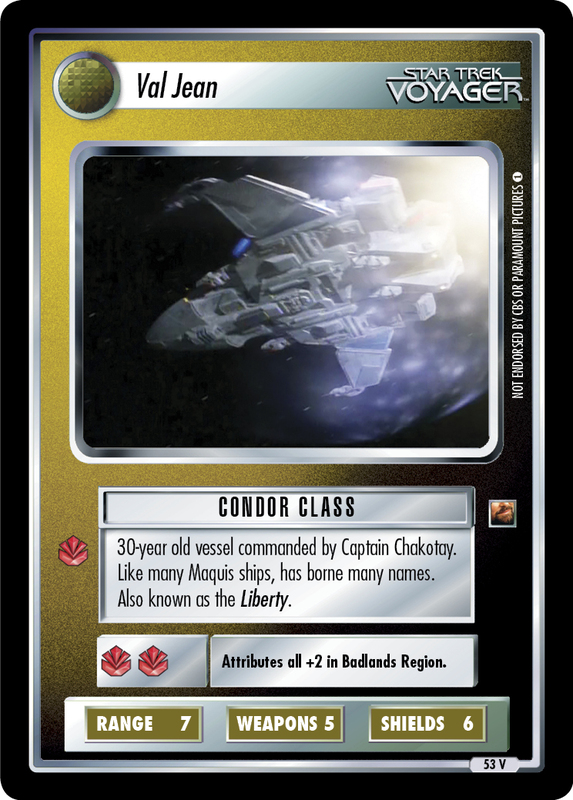 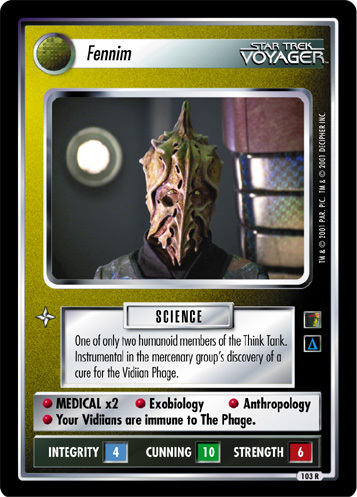 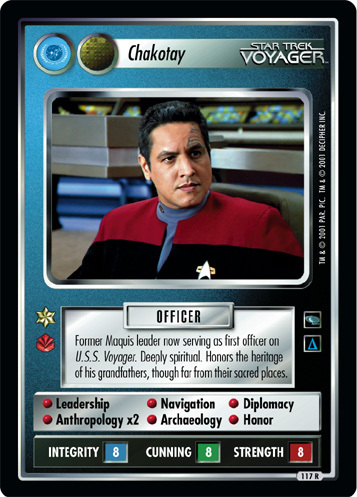 Former Starfleet officer who resigned to defend his home colony. 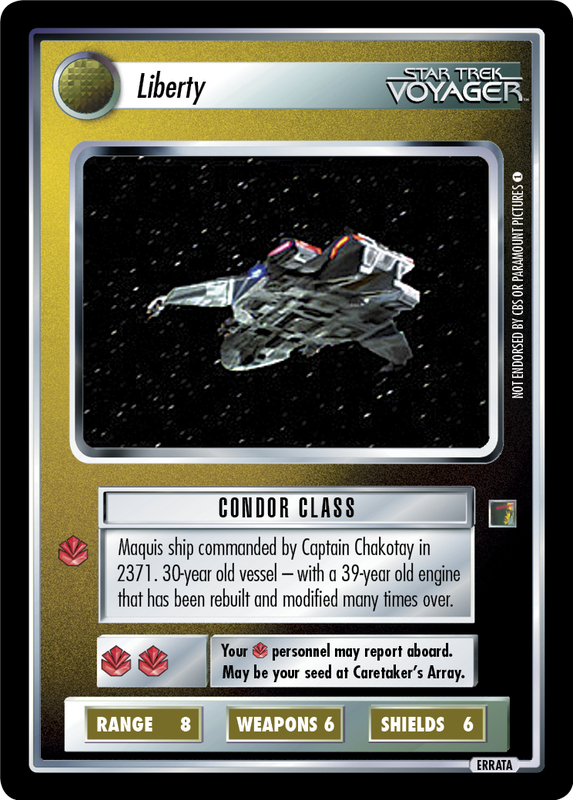 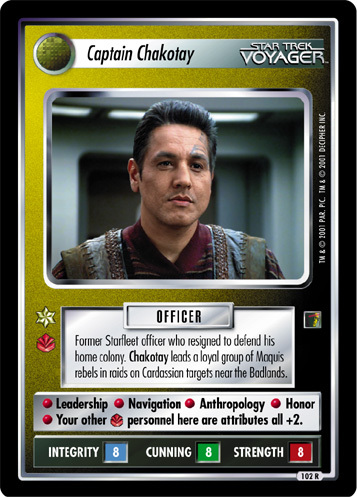 Chakotay leads a loyal group of Maquis rebels in raids on Cardassian targets near the Badlands. 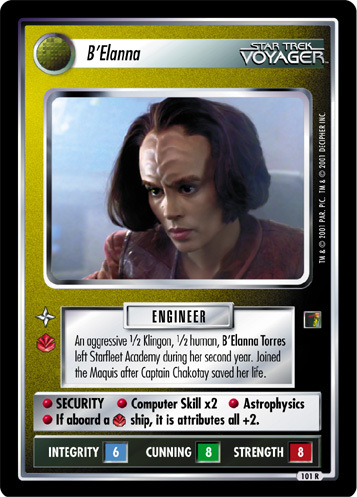 • Leadership • Navigation • Anthropology • Honor • Your other personnel here are attributes all +2.